With the help of our expert team members, we have been able to provide Wall Mounted Glass Shelf. Ideal for any corner of the house or bathroom, this wall glass shelf is an elegant buy. The wall glass is a multi-utility product and can be used in bathroom, living room or offices. 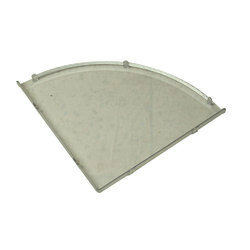 The white metal bracket that is fastened to the glass holds the glass firmly. 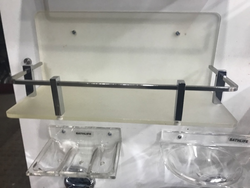 The glass used in the shelf rack is 8mm Saint Gobain or Modiguard. We are the best trader engaged in offering an extensive range of Bathroom Glass.